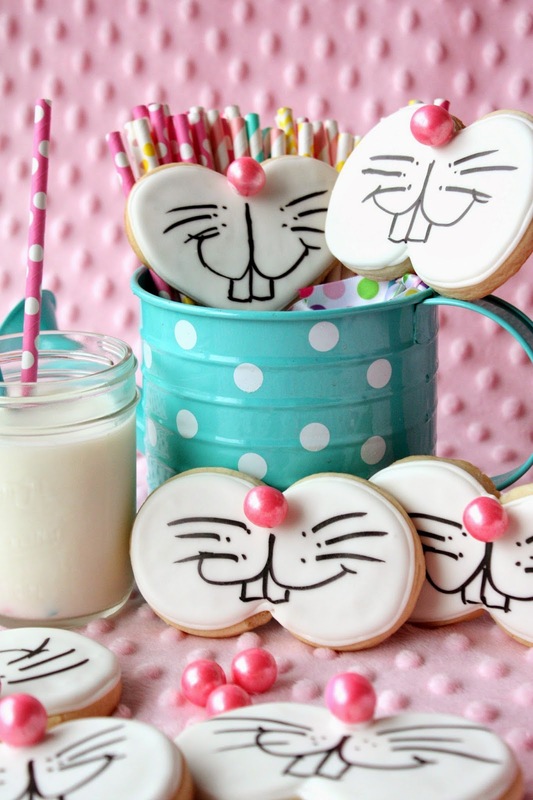 A couple of weeks ago, there was a thread started on a facebook page (Cookie Cutter B/S/T) regarding my original Funny Bunny Cookies. The poster included my photo and asked what she could use to make the cookies, other than a template (which I made/used). There were a few great suggestions offered, including a pumpkin cutter and a number 8 cutter. I thought it would be fun to make more funny bunny cookies implementing the suggestions, and added a couple of my own, using common cookie cutters. As you can tell, these cookies are simple to make and don't require a special cutter. Another change is the pink gumball noses (Celebration shimmer gumballs, 1/2-inch, from Sweet Works). Love them! Which Funny Bunny do you like the best? 1. Mix up a batch of cookie dough, and roll out 3/8-inch thick. 2. Use your cookie cutter of choice to cut out the cookies and place on baking sheet. 3. Bake according to recipe. Let cookies cool. 5. Outline and fill the cookies with the icing (reserve some to adhere the noses, later). 6. Let icing dry completely, overnight if possible. 7. Use the edible marker for the facial details. 8. 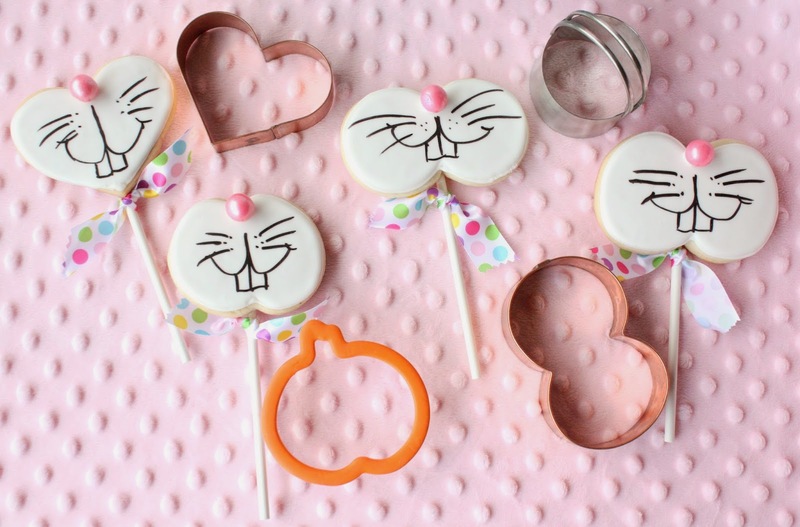 If making cookie pops, use some royal icing to adhere the stick to the back of the cookie and let dry. 10. Add the gumball noses with royal icing. Let dry. I love your funny bunnies! I am glad you did this showing how to use different cutters. I think it is so important we see desings in more than one cutter. These are awesome and I am pinning now! I like them all! Too hard to choose. These are adorable. Thanks so much, Angie! So happy you commented so that I could find your beautiful blog! They look so fun and beautiful, Sue. love this! saw this on kitchenfunwithmy3son's link party. super super cute! Thanks, Joni:) I use the AmeriColor Gourmet Writers. These are on my to make list! I know the grandkids would just love them. Your pink noses are fabulous! They would all get picked off. Have fun making them, Jackie! These are so adorable! I pinned them the other night at our Pinterest Party…but I am pinning them again and sharing on my FB page. They are just too cute! SO CUTE! I LOVE THESE BUNNIES OF ALL SHAPES. Thanks, Sonia! Hugs to you too! These are just darling! A new follower here! Hey Girl! It’s Deonna from the Child at Heart blog. I was just stopping by to say hello! 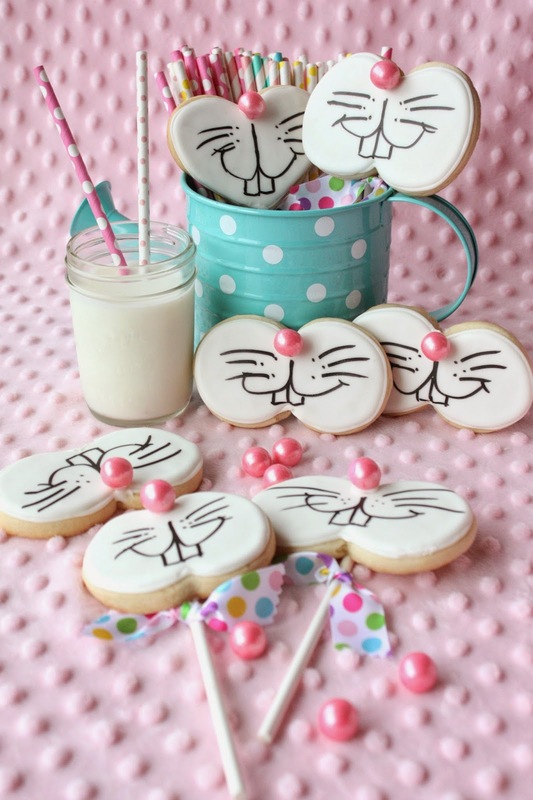 These are the best Easter cookies I have ever seen! Pinning! I am doing a great spring necklace giveaway and would love for you to come by and enter to win :) Have a joyful week!